After the master class, several VieVinum attendees headed over the VieVinum Cup and following dinner of Vienna Whites and Lower Austrian Reds, but a couple of my new found companions and I opted to take advantage of one of the separate programs taking place that evening: dinner in the Roman ruins of the Carnuntum wine region featuring traditional Roman cuisine and an array of Zweigelt. Truth be told, I wish it had been possible to attend both – but that just wasn’t possible! After tasting through and a brief introduction to the region we traveled to the town of Carnuntum which hosts the preserved sit of Roman ruins. Our tour guide explained to us that everything we saw there was as close to real as it possibly could be… the coolest part? We could touch everything! The other cool part? Our dinner was actually held in one of the houses that had been preserved and reconstructed. How many people can say they’ve wined & dined IN ancient ruins? To begin the dinner, we met outside of the ruins and were served a traditional, mead style beverage of white wine infused with honey paired with a hearty oat bread. 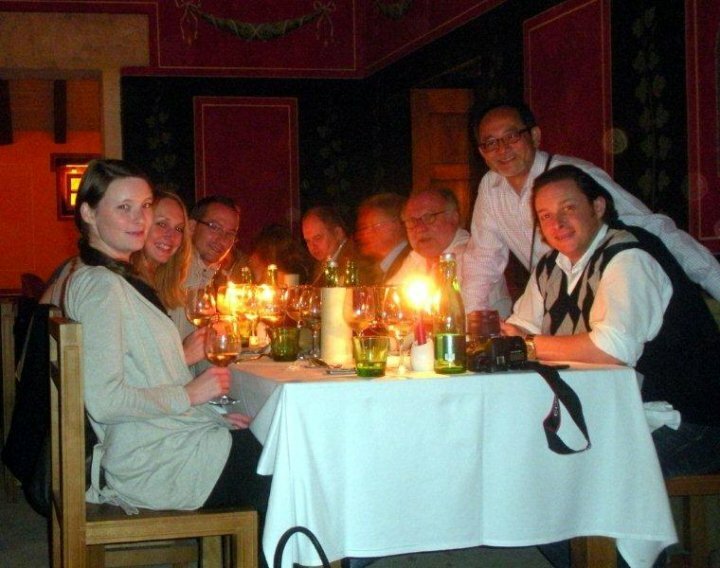 Once we shuffled inside to take our places, we found many of the winemakers waiting for us to join them at dinner. The dinner consisted for four courses and each course was paired with three wines. It was really interesting to experience the wine region in such a manner – however touristy it may have actually been. Carnuntum is a lesser- known region of Austria, but is really producing some great wines with a focus on the reds. For more information on Carnuntum, check here.